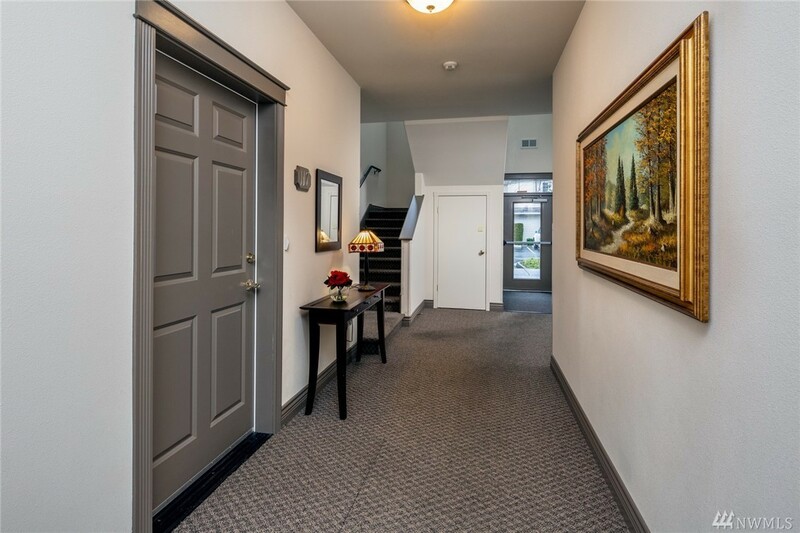 This end unit, private, ground level condo has 3 bedrooms & 2.5 bathrooms. The large 2,200 square foot home has 9 foot ceilings, distinctive crown molding, two separate private patios & gas fireplace. The high end kitchen has stainless steel appliances, large garden window, convenient built-in desk, island w/pull out drawers, granite counter tops & back splash. The luxurious master suite welcomes you with french doors, walk in closet, sliding glass door out to the patio & large full bathroom.